The West Bank area of Jackson Hole encompasses some of the finest Real Estate in the region of Teton County and Jackson Hole. The prices range from anywhere between 500,000 to $20,000,000 million dollars for single-family homes home sites and exclusive tracts of land. Many of the luxury properties in Jackson Hole are found on the West Bank side, named for being West of the Snake River across the bridge on the way to Wilson Wyoming. The area has many regional nodes and subdivisions that are in a 2-mile wide path along the Front Range of the Grand Teton Mountains. The length of this strip of land is about 25 miles and follows the spontaneous path of the Snake River. The properties in many of the exclusive subdivisions are priced according to the view of the Grand Teton and any water features that may exist on the property. The West Bank runs from Red Top Meadows Subdivision on the south end to Teton Village on the North end of the strip. There is also more moderately priced Real Estate in the Aspens Racquet Club Resort ranging from 200,000 and up. The West Bank of Jackson also features incredible wildlife corridors. It is common to see moose, elk, deer, coyotes, and foxes throughout this environmentally sensitive area. The fishing is also outstanding at the base of the front-range on the West Bank, as the insect feed for the trout is abundant in sections of these rivers and tributaries running through this area. 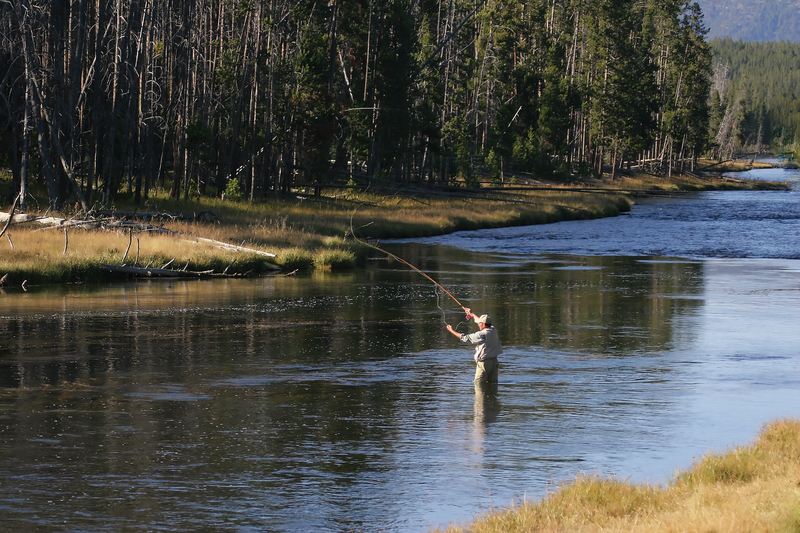 Among the more popular streams is Fish Creek Meadows which flows from Teton Village for about 15 miles south and exits at the Crescent H Ranch. The climate and snowfall are actually a bit different on the West Bank as it tends to snow more and have milder temperatures. The Teton Range actually shelters many of these areas from high wind which can keep the temperatures a bit more moderate. Being closer to the Teton also allows more snow to fall on this area first and then dissipate as it moves eastward. The trees are generally larger due to the high moisture content of this area. On the lowlands of the West Bank the floodplain is rated at 100 years or less. The water tables are as high as 3 feet below the surface on the valley floor and only crawl spaces can be built in these low areas. Wilson and regions south have the highest potential of flooding as they are lower than the north area of the West Bank. The dikes on the Snake River have significantly reduced flood potential over the years and many homes in low lying areas are equipped with sump pumps when water tables are high. In recent years the high country was traditionally thought of as safer, but the fire danger in heavily wooded areas have proven to be as great a challenge in this region. 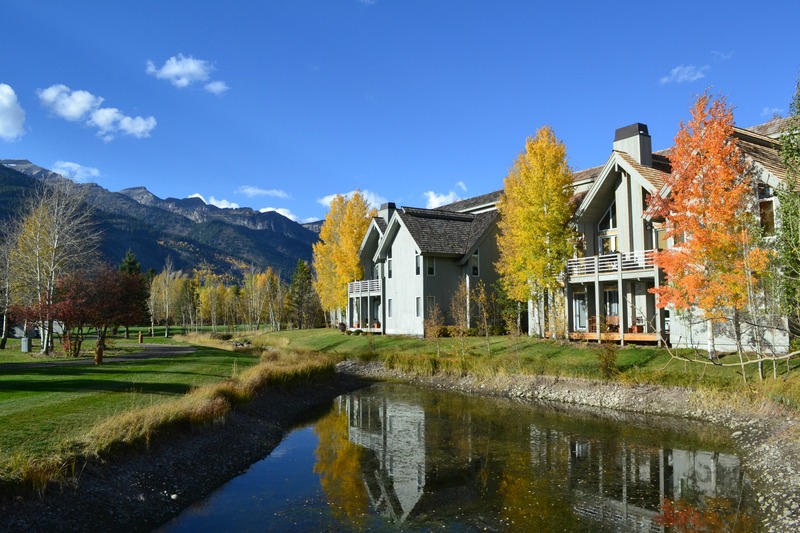 Nestled at the base of the Teton Mountain Range, is the Racquet Club at the Aspens. This quiet resort community offers moderate to deluxe condominium rentals in a contemporary western fashion. These fully furnished condos include a fireplace, private deck, cable television and washer/dryer. If you don't see enough photos here, we would be happy to email you a “slideshow of interior images “to give you more detail. At the front of the development guests will enjoy close proximity to a small grocery and wine/liquor store and a wonderful Austrian Restaurant/lounge called Steigler's. 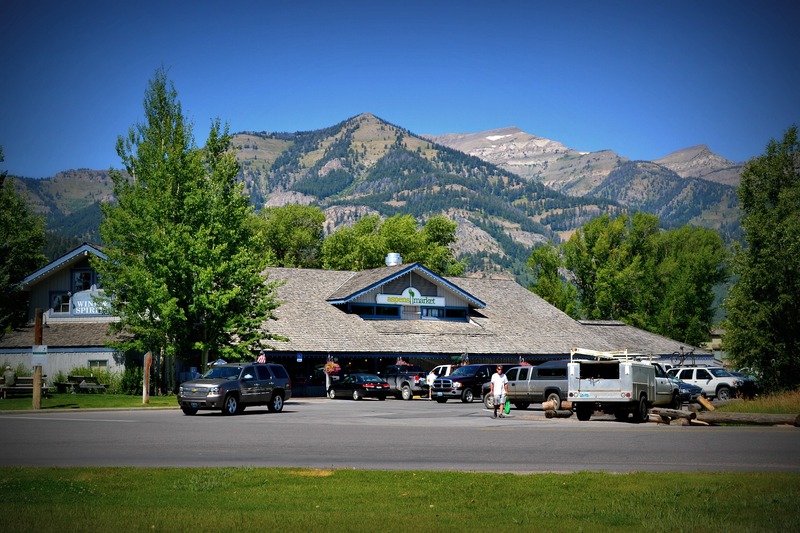 This convenient location is only minutes away from both the Jackson Hole Mountain Resort in Teton Village and the town of Jackson, allowing you to easily explore all of the recreational adventures that await you. During the winter months a shuttle bus provides complimentary transportation to and from Jackson Hole Resort and a public bus system is available for transportation to and from town for a nominal fee. You can view the START bus transit system bus lines and schedules here. Willow Brook subdivision is another one of the newer platted regions for West Jackson Real Estate. It consists of about 20 high -end 3acre lots. 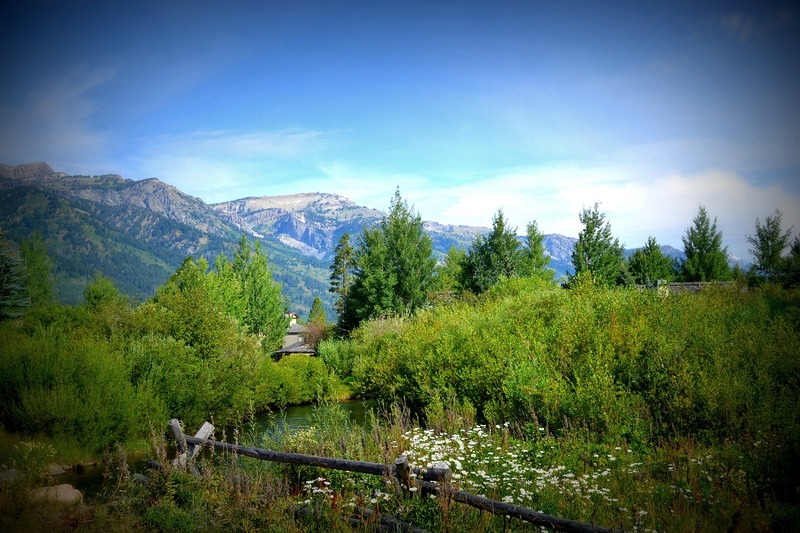 The subdivision is very popular with high-end buyers looking for excellent proximity to the Town of Jackson and the Jackson Hole Mountain Resort. The subdivision now has excellent access to the new hiking and bike trails as well. Many of the lots have unobstructed views of the Grand Teton as well as nice water features that are seasonal waterways spilling over from The ponds and creeks running through the Golf Course which is adjacent to Willow Brook. The lots range from 1,5 million and up and homes start at around 3 million and up in this exclusive new development on the West Bank. Tucker Ranch subdivision has become one of the most exclusive new development projects for West Jackson Real Estate Development. The area is unique as it has many popular features sought out by most high-end second home buyers coming to the Valley. The back lots are the most exclusive as they are in between a large lake and the Snake River. This powerful combination of amenities has new listed prices climbing to well over 10 million dollars for the larger homes that have recently been built. This subdivision is also very close to the Jackson Hole Mountain Resort and directly across the street from the entrance to Teton Pines Resort Golf Course. Front lots and homes in this area are also very exclusive and range between 4 million and 15 million in price. A few of the lots allow horses and fencing. The lot sizes range from 3-6 acres. The John Dodge Subdivision is perhaps the most exclusive West Bank Subdivisions in the entire Jackson Hole Area. It has been platted over several years into John Dodge Filing 1-8. The RedTop Meadows is an older subdivision is in the south corridor of the West Bank Region and as of recent has received a paved county road to the town of Wilson. It is a twenty-minute scenic drive that leads back to this older remote region that was carved out in a beautiful meadow area. A few of the homes adjoin National Forest and have great access to the Bridger Teton Wilderness area. It is a favorite spot for locals as the prices are under a million dollars for homes on a bigger tract of land. The county road leads to a dirt road that meanders back to Hoback Junction but is not considered a connector road to that area and used mainly by hikers and hunters. The Hidden Hills Ranch subdivision is a bit larger in acreage than the Red Top Meadows to the south. This subdivision too is very remote yet within a reasonable drive back to the town of Wilson and the Town of Jackson Hole. The lots are spacious and some are further carved up the front range of the Teton Wilderness area. The homes are a bit nicer than Red Top and are priced at 700,000 to 2 million in this pristine area. Great hiking access and privacy are the selling features of this West Bank regional area. The River Meadows subdivision is where the pricing begins to increase yet is still a bit more affordable than the properties North of this large heavily forested subdivision. Many locals bought when the price was right and the area is home to many locals. Prices here will also run between 700,000 and up for homes and occasionally a few lots that have not been developed will come on the Real Estate Market from around $400,000 and up. The homes are of fairly nice quality and are a mix of conventional stick frame houses to nice log homes; the lot sizes are about an acre. There are a few amenities including a tennis court and limited fishing rights on the Snake River. It was platted in the 50′s and 60′s with the exclusive Crescent H Ranch to the North. The Fish Creek Meadows smaller subdivision lies between the River Meadows property and Crescent H Ranch. It consists of some large tracts of land, some of which have excellent Water features and Grand Teton Views. This is the where the prices start dramatically increasing as it is very exclusive and closer to the Town of Wilson and the Town of Jackson. These exclusive tracts that are left are over 5 million and homes can sell for between 7-15 million in this awesome scenic area on the Valley floor adjacent to the Snake River. Crescent H Ranch / West Bank Region of Jackson Hole. The Cresent H Ranch Subdivision is an old Guest Ranch 5 miles south of Wilson has continued to be one of the most popular high-end Subdivisions in Jackson Hole. The original Ranch was set up with a Lodge, with a few log guest cabins. The first filings were similar to River Meadows and placed on the base of the Front Range in a heavily forested area consisting of smaller tracts and more modest houses for the most part. All homes must be log and western in style in this area, which is pleasantly unique. Many of these exclusive one-acre lots have filtered views at best but include the famous fishing amenities of the Snake River Tributaries below. These waters provide extremely popular fisheries in a pristine setting for the homeowners only. The old Ranch amenities have been in dispute since a bankruptcy in the late 90′s occurred. The new owner developer bought the ranch out of foreclosure and finished subdividing the exclusive larger tracts due south and east of the Lodge area. It has since turned over yet again and the newest owner may open the old Lodge and cabin facilities up again to the owners. The larger tracts on the River are the most sought after Luxury Real Estate in the United States with prices starting at 7 million and up for property in this exclusive area. Water and Teton Views are the secret to the high pricing here. This is the ultimate sportsman property and will continue to hold strong value. The last of the lots are being developed with magnificent homes of the Rich and Famous. Indian Paintbrush Subdivision / regional West Bank Jackson Hole. Indian Paintbrush subdivision real estate is a rather large region on the West Jackson region. The location is very good as it is about 3 miles South of the Town of Wilson Area. This older subdivision is nestled in the Bridger Teton on the hillside in the Front Range. The subdivision is fairly secluded and most houses are on 3-acre parcels surrounded by large stands of Fir trees. The homes are a mix of moderate to higher-end in a few nodes of the land tract. It is a mixed bag of small and large homes with a paved road leading to the top with dirt road connector streets. It is a popular locals area as there are many that bought when the prices were much lower in the mid 80′s. There are a few houses that have nice Valley views through the trees and only a couple houses enjoy Grand Teton Views. The town of Wilson for West Jackson Real Estate includes a few old subdivisions and house sprinkled around at the base of Teton Pass, which leads to Victor and Driggs Idaho area. It also includes a small road to the North that follows the meandering Fish Creek Meadows that originates at the base of the Ski Area. The Wilson area is a small little town with a post office, store bagel shop, and a few other commercial businesses. It is a very popular tourist area in summer and winter as it is the entrance to all the sports activities people enjoy on the Teton Pass Area. It too is a real mixed bag of Real Estate as a multi-million dollar home will be flanked by a small rental shack or a trailer converted into a home in the 50′s, as well the prices of the homes range from the moderate 500,000 range up to several million dollars. Another popular attraction for families moving to the area is the Wilson Elementary School. This red school house was recently rebuilt and is one of the top-rated schools in the country. People will buy on the West Bank just to be able to have their kids go to this school. It is just a really fun area and all locals are familiar with and support the Wilson area. These are the newest developments of the West Jackson Real Estate, located in the Wilson Area. Both Subdivisions encompass all the land between Wilson and The Village Road on the North side of Hwy 390 heading to town from Wilson. The areas are on the Valley floor and have good views of the Teton Range. Some of the back lots are more exclusive as they feature direct Grand Teton Views. 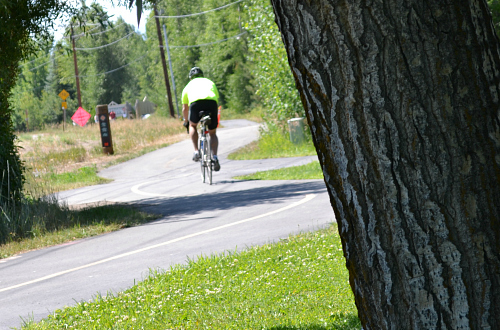 The subdivision is well laid out for families with a bike and walking trail now connecting Wilson to Teton Village. This is a fabulous new trail system that now is being developed to go up Teton Pass. While the homes, for the most part, are moderately built the prices in this area are climbing to $800,000 and up. Stilson Ranch also has the new Parking lot areas for the Teton Village Transportation and free parking for the Jackson Hole Mountain Resort. The Ellen Creek subdivision is a beautiful region nestled in the trees just south of the Jackson Hole Mountain Resort and is very exclusive. It is almost hard to find as it has a funky road that comes out of the Village in an obscure area and winds around behind the older Teton Village Condominiums. The houses do not have ski access at this point but may in the future if the ranchlands below are developed by SRA. The lots are mostly developed and values for the large homes in the area range from 3 to 6 million dollars. The subdivision has great access to hiking trails that go over to the Village area. The lot sizes are all around 3 acres and there is nice privacy for the homeowners. The values in this area may continue to climb as the subdivision is a best kept secret and in an awesome West Bank location. The Wilderness Ranch subdivision on the Snake River side of the Village Road is a bit of an older subdivision but the Real Estate values still are quite high. While it is not as exclusive as the Tucker Ranch and John Dodge it enjoys the same proximity to the Jackson Mountain Resort. This development has both moderate and luxury homes and will always be of interest to second home buyers looking for good views and water features with access to the Snake. The subdivision is close to the Aspens Market and also has great access to the bike and hiking trail that runs from the town of Wilson to Teton Village. A few of the back lots have direct access to the Snake River and a few border the exclusive Tucker Ranch Subdivision and overlook Tucker Ranch Lake. Just to the North of the Aspens Racquet Club Resort is a series of 3 platted filings and subdivisions named Lake Creek Acres. The homes range from modest to high-end and prices are higher in this area due to the excellent proximity to the Jackson Hole Ski Resort. Most of the homes have good views of the front range of the Tetons as well as the Grand Teton View. The area is well laid out in 3-acre land parcels providing lots of space between neighbors. There are groves of Cottonwood and Aspen trees throughout the area providing good protection from the elements and screening from the other homes. The subdivision is now connected up with the Wilson/ Teton Village bike and hiking trail system. This is a Top Pick for new Real Estate second home buyers. Many of the older homes are now being gutted, remodeled and added on to make the neighborhood more desirable each year. It is also close to the Grocery store and other amenities at the Racquet Club and Teton Pines Resort. The Teton Pines Resort Subdivision on exclusive West Jackson Real Estate Property is situated in a perfect setting on the West Bank. Teton Pines Resort has a mix of townhomes, fractional hotel units, single-family homes and a fabulous Arnold Palmer Golf Course. A very nice Clubhouse and some Commercial use areas are also associated with the property and it is adjacent to the Aspens at the Racquet Club. There is a nice restaurant, pools, tennis courts, and the Teton Sports Center is nearby in the Aspens. For the most part this Resort has been seeing higher end Real Estate pricing ranging from 1-10 million for lots, houses and townhomes. The 29 Teton Pines Townhome units have also been approved for short-term vacation rentals. These are all pretty much the same floor plan with 3 bedrooms and 3.5 baths. These have fine appointments and are a popular choice for home buyers looking for rental income potential. The Single Family Homes and Cluster Homes are strategically placed around the golf course to take advantage of views and water features. These magnificent properties are attractive for the golfers and locals alike. There is a cross-country track set up in the Winter time. These three subdivisions are adjacent to each other and are on the south side of Hwy 390 between the Town of Wilson and the Village Road. 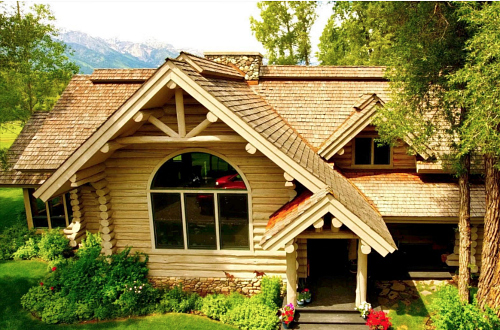 Most of the lots are three acres and have nice Views of the Teton Range. River Hollow and Green Lane are a bit more secluded as they are closer to large stands of Cottonwood trees that run along the Snake River area on the valley floor. The homes range from moderate to high end and pricing is ranging from 800,000 and up. There are a few properties in these subdivisions that have excellent water features and big unobstructed Teton Views selling for as high as 4 million. A few lots in River Hollow and Green Lane are adjacent to and have access to the Snake River pedestrian areas. While the bike and hiking trail is across the hi-way it is easily accessed and is a wonderful amenity to the area.